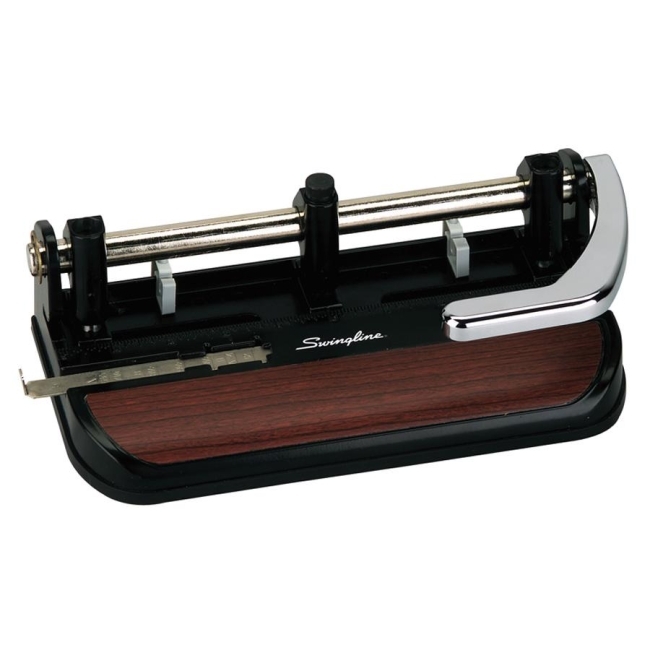 Accented heavy-duty punch offers a stylish look with a chrome handle design and stylish woodgrain accent. Punches three holes in 40 sheets at a time with 11/32" heads that adjust for any centers up to 8-1/2". Extra heads available to punch up to seven holes. Die-cast body. Adjustable calibrated paper positioning guide locks into place. Base is also chip holder. Will accept 9/32" heads.